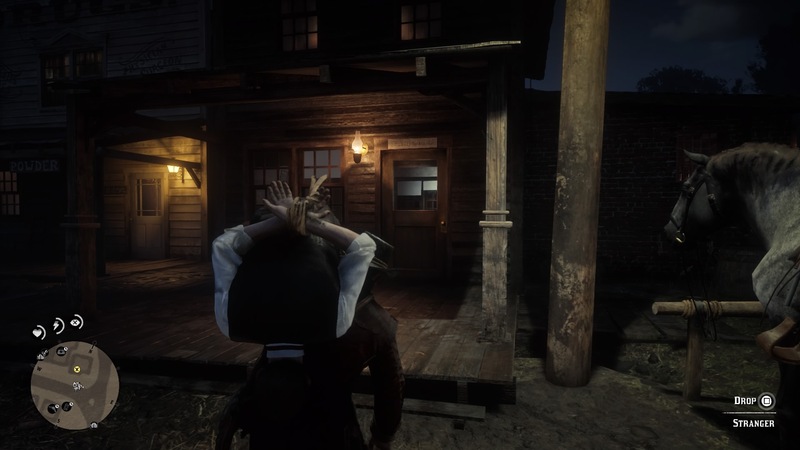 There might be a lot of death and dismemberment in Red Dead Redemption 2, but for Arthur and the rest of the van der Linde gang – except for maybe Micah – guts and gore aren’t something to revel in, but a necessary part of being an outlaw. 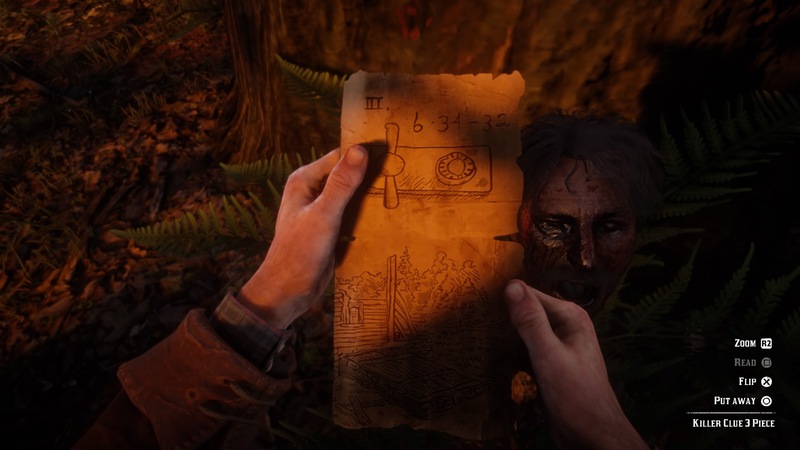 However out in the wilds, you stumble onto something altogether more sinister – a serial killer, leaving messages like “look on my works” and pieces of a map as a challenge to would-be detectives. 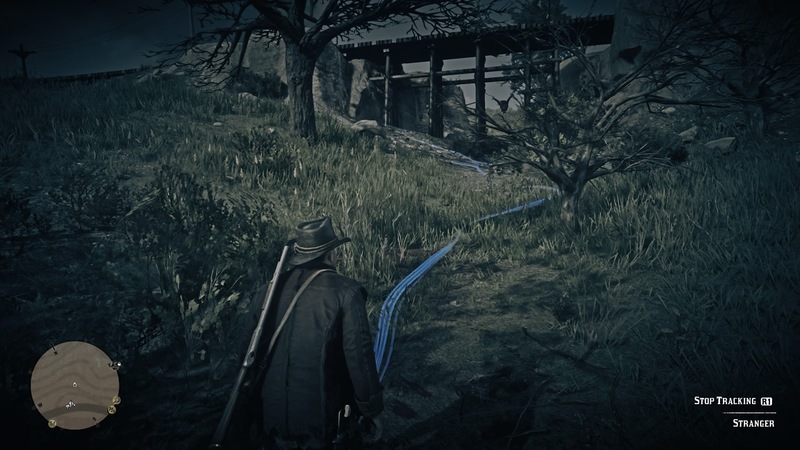 Do you have the stomach to find the locations of all of the killer clue pieces and track down Red Dead Redemption 2’s serial killer? 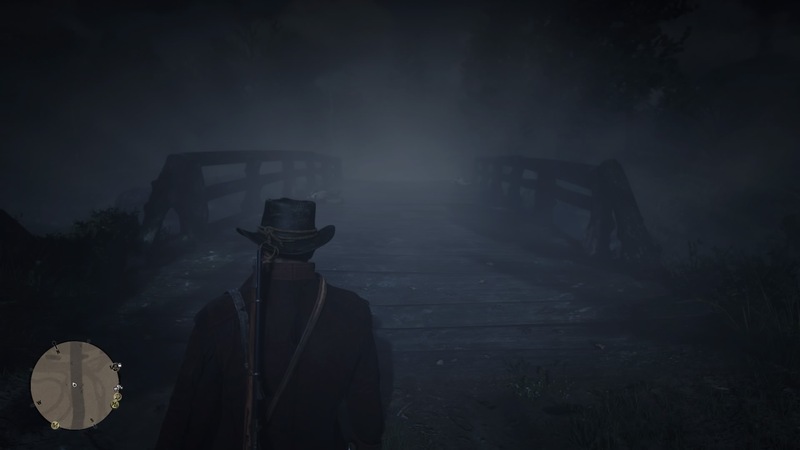 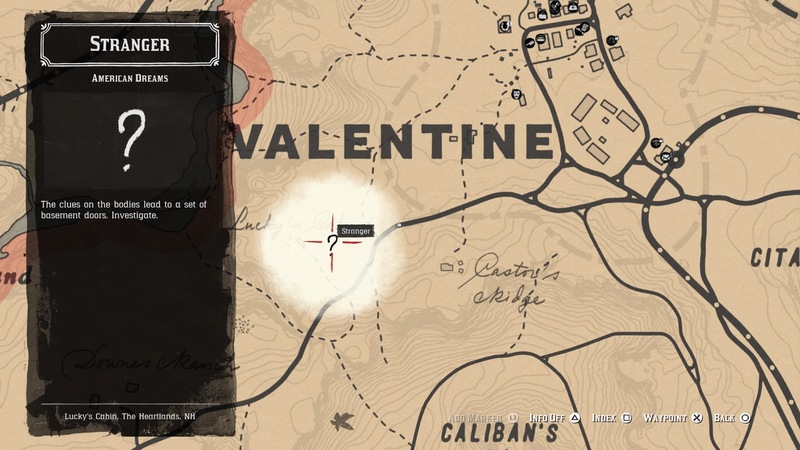 The first location on your grisly trail is to the northeast of Strawberry and the southwest of Wallace train station (see screenshot). 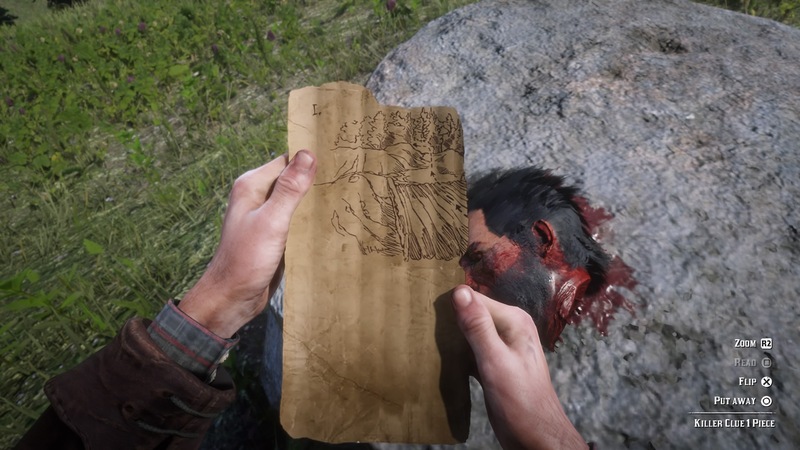 South of the station, as you take the road southeast towards the Dakota River, you’ll find an eviscerated body on the north side of the trail. 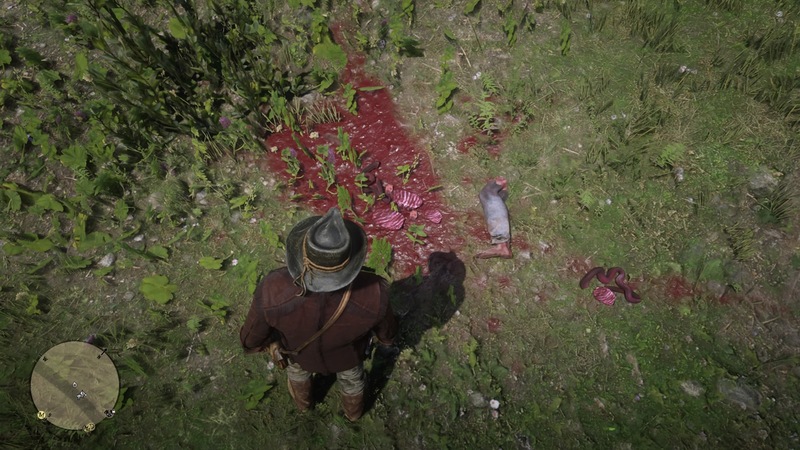 Yes, that is a leg. 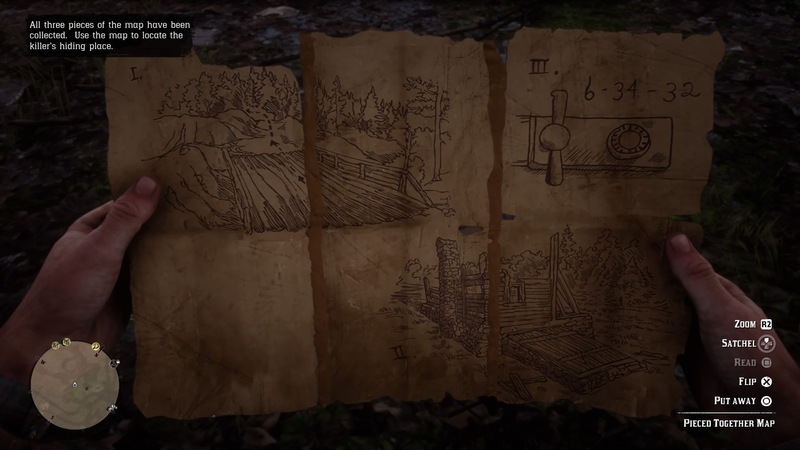 The final piece of the puzzle is closer to the road that the last two. 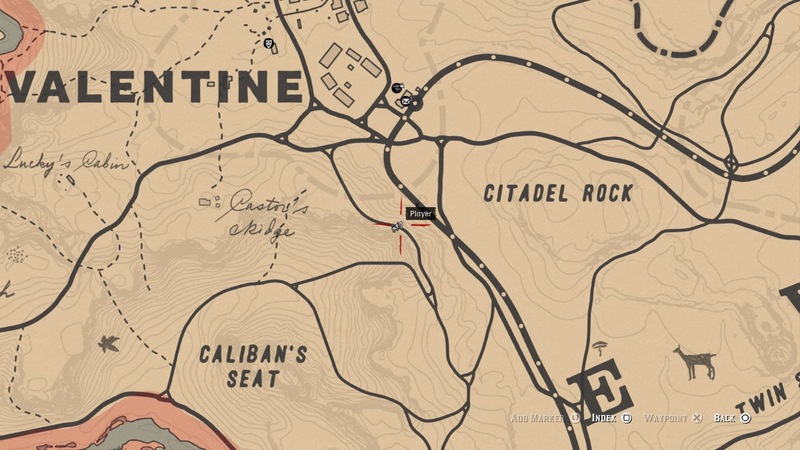 You need to head down south, past Rhodes and past the civil war battle ground at Boulder Blade. 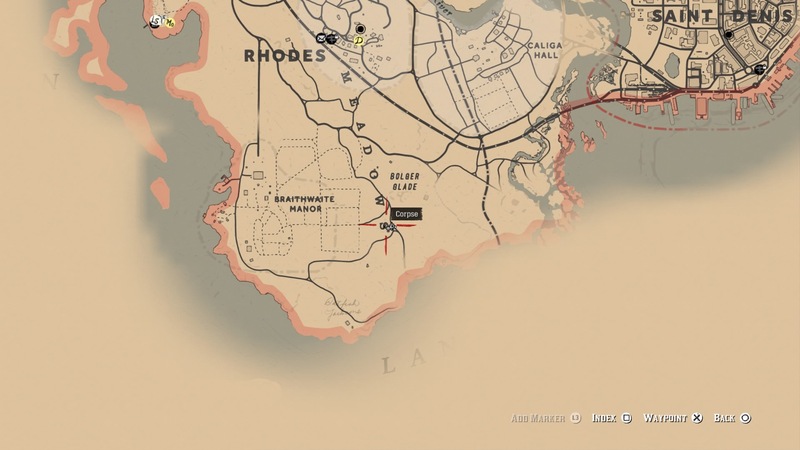 Right where the last “S” in Scarlett Meadows is printed on the map, is where you need to go (see screenshot).